Cicadas are singing lively, quite sooner to get up compared to Kanto area. 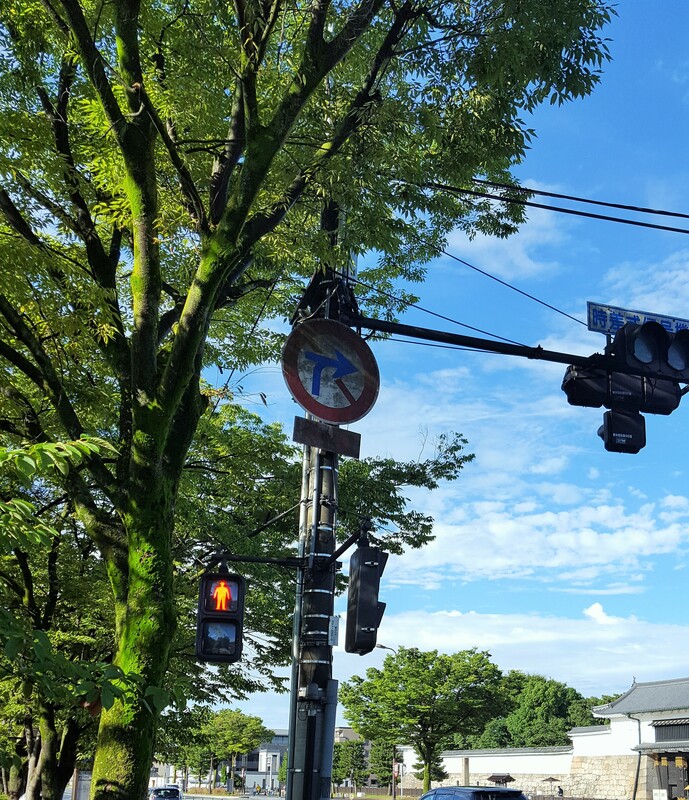 Shin and Mei-Shun’s favorite itinerary includes walking around the commodious garden of 二条城 in the morning, yet they chose to take a bus to 四条大橋 this time. 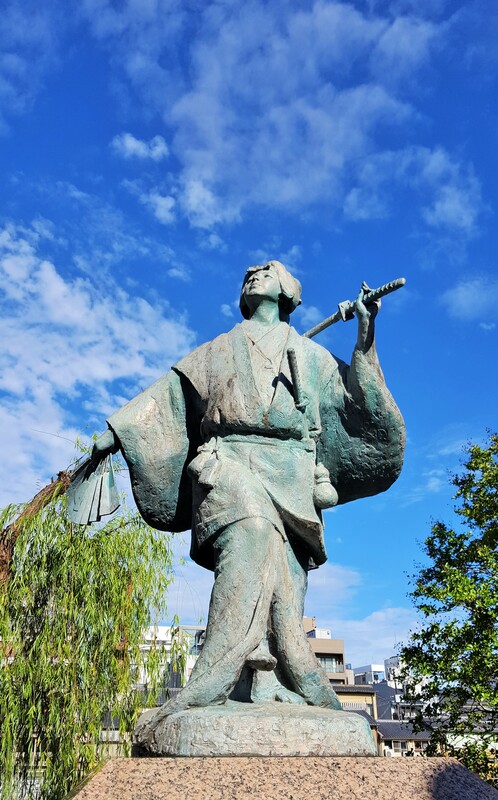 On the way to 八坂神社, the wife found a statue of 出雲阿国=izumo-no-okuni who started kabuki. Ah, 南座 is here protected by you, Master.